lyngen Windstopper Leather Gloves is rated 5.0 out of 5 by 1. The lyngen Windstopper Leather Gloves are light weight and technical gloves designed for ski touring. The back is made of a thicker GORE® Windstopper fleece providing the perfect combination of wind protection and comfort; The totally windproof, yet extremely breathable membrane blocks the wind and allows vapor to escape minimizing the wind’s chilling effect while reducing the risk of overheating when you are active. A durable outer fabric treatment provides you additional protection of water repellency. 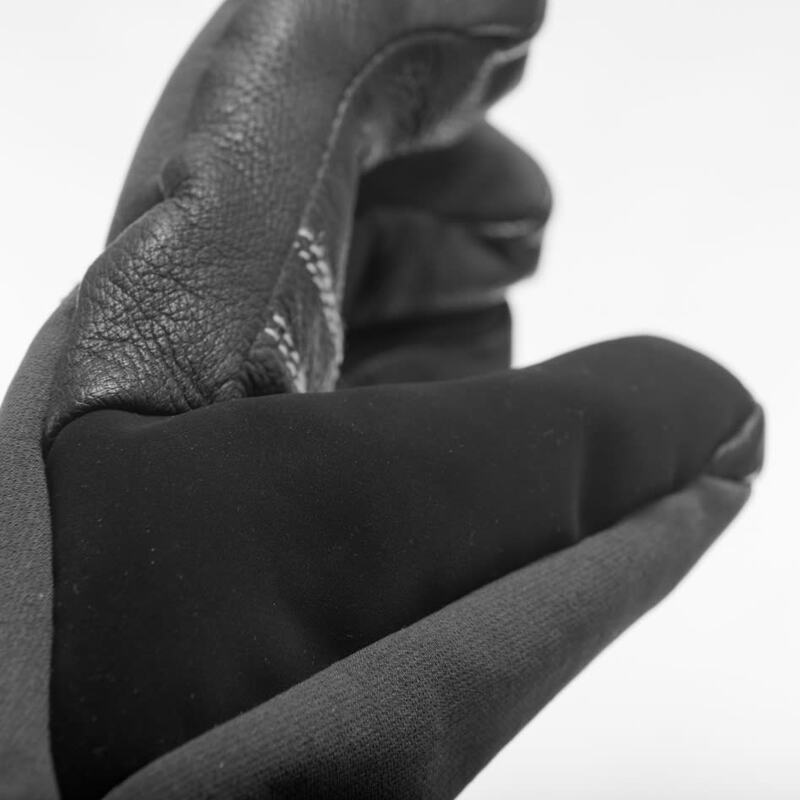 The palms are made in impregnated leather to ensure maximum grip precision and great durability, and are lined with wool for extra warmth, It has the same sleek design as the fjørå Gloves but is made for colder days in the mountains. Comes with a nose wipe on thumb. GORE WINDSTOPPER™ membrane is an ultrathin weather protective layer which is laminated to various textile layer. Products made with GORE® WINDSTOPPER® fabrics are totally windproof, highly water repellent yet deliver maximum breathability to keep you comfortable in cool and windy weather conditions. This combination of protection and breathability minimizes the wind’s chilling effect while reducing the risk of overheating when you are active. Fingers are articulated for improved comfort and better grip. Rated 5 out of 5 by Daniel2406 from Great for general trekking Had these gloves for a while now and still going strong, quite waterproof and still allow you to move your hands to grab things easily.